Wide feet, bunions, high volume feet or really high arches? You'll need wide fitting shoes. 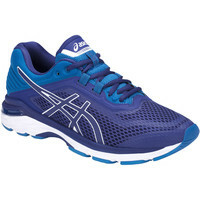 At Run and Become we've got lots of wide running shoes you can try. New Balance's cushiest neutral shoe is lightweight, flexible and very shock absorbent. Built on an 8mm drop to promote a more natural, midfoot strike. The men's 1080 comes in a wide (2E) and an extra wide (4E) fitting. The 4E 1080 is the widest of all neutral shoes available, as far as we know. The women's comes in a wide fitting (D). New Balance wide fits are often a little deeper than other wide fits so they give you a bit more space between the insole and the upper creating more volume for your foot. 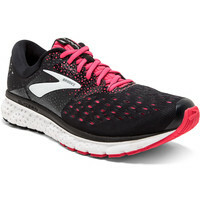 The Brooks Ghost franchise of well cushioned, stable, neutral shoes is tremendously popular. BioMogo DNA cushioning provides consistently soft yet responsive cushioning from heel to forefoot and a stretchy engineered mesh upper shapes itself to the foot’s natural lumps and bumps. 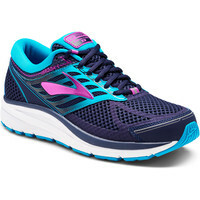 Brooks Ghost comes in 2E width for men and a D width for women. Glycerin is the ultimate in soft! 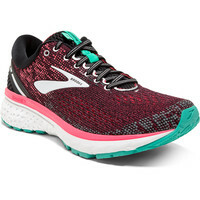 Brooks top of the range neutral shoe features a DNA Loft midsole which incorporates air and rubber for a supremely comfy and pillowy feeling as you step but still offers all the responsiveness and durability you need from a running shoe. An adaptable double jaquard mesh upper conforms to fit your foot's individual shape. Brooks Glycerin comes in 2E width for men and a D width for women. Straight-lasted and solid, the Dyad is a good stable neutral runner with ample shock absorption and a plush, cushioned insole for underfoot comfort. We stock 4E extra wide for men and 2E extra wide for women. 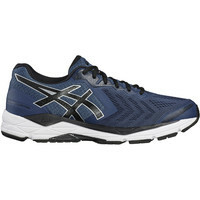 Asics most cushioned neutral road running shoe features Adaptive Gel in a FlyteFoam midsole: a combination which is designed to give you more cushioning as you fatigue, so you're still getting a nice cushioned ride even after you've put in a lot of miles. A Gradient mesh upper with 3D printed on overlays ensures a comfortable and customised fit for your unique foot shape. A trusstic in the middle of the foot gives an element of stability to this superbly cushioned neutral running shoe. The men's comes in a 2E width. 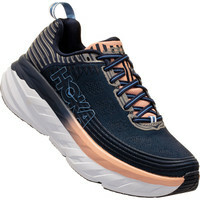 Hoka One One are known for their exceptionally well padded running shoes with outsized midsoles that almost resemble platform shoes. They are favoured by ultra distance runners, runners with persistent injury problems and those who just love a seriously cushioned feel when running or walking. 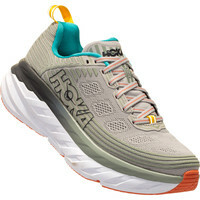 Many of our customers find the fit of Hoka shoes too narrow for them so we're happy to be able to offer the Bondi - Hoka's loved and trusted ultra cushioned road running shoe for the neutral striker - in a wide width fitting. Bondi's compression moulded EVA midsole is 33mm thick at the heel and 29mm at the forefoot to give you a soft underfoot feeling and plenty of impact absorption with a meta rocker that rocks you from heel to forefoot to facilitate a smooth forward motion. The Adrenaline GTS is one of the most popular and effective antipronation shoes around. Support features reduce pronation and hold the foot in the optimum position so you can run or walk with confidence. BioMogo DNA cushioning attenuates the shock on landing. A super comfy upper with a midfoot saddle to cradle the foot completes the experience. 2E and 4E for men, D and 2E for women. Addiction is a straight-lasted and highly supportive training shoe featuring an extended rollbar which is strong enough to correct even heavy overpronation. A comfy upper with a plush padded heel collar and a super cushy insole gives the Addiction a cosy feel for long or short distance running or for wearing everyday if you need to. D width in the women's. Asics Kayano is the Rolls Royce of running shoes. A Duomax support system works with a stabilising heel counter and trusstic (bridge on the outsole under the middle of the foot) to stop the feet over pronating. 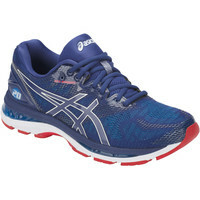 Two of Asics' top midsole materials - Flytefoam Lyte and Flytefoam Propel combine to absorb shock and give you a bouncy and cushioned ride without excess weight. A double layered jacquard mesh upper offers breathability and comfort. Men's 2E. The Foundation is a straight-lasted, highly supportive motion control shoe from Asics with Gel cushioning. Engineered to reduce even the severest pronation, the Foundation is a little heavier and more solid than many other stability shoes. The men's comes in a 2E width fitting and the women's comes standard width which fits more generously than most. Specially constructed for stability, a Dynamic Duomax support system on the inside keeps the arch from pronating too far inwards and an external heel clutch system strengthens the back of the shoe for added support. 2E wide fit for men. A breathable and stretchy engineered mesh upper adapts to the shape of your foot for a comfortable fit. A dual layer midsole featuring softer materials on top and firmer materials underneath offers a cushioned underfoot experience. Structurally sound, a firmer density post on the inside stabilizes pronating feet. In our experience, wide fitting New Balance shoes tend to be a bit broader deeper than their equivalents in other makes so they offer a little more volume than some others. Wide and extra wide for men (2E and 4E.) Wide D width for women. The Zoom Structure is Nike's one and only stability shoe. It features Nike's trademark bouncy Air cushioning for a soft landing and a dual density midsole (firmer on the inside) stops the foot from rotating too far inwards. A comfy and supportive breathable upper completes the package. Women's wide width. Custom built for wide feet, this Speedcross is in its element on soft, wet terrain where its 6mm chevron shaped lugs provide monster grip both up and downhill and on the flat. The wet grip rubber outsole is sticky enough to reduce slippage on wet rocks or pavements. A tough, anti debris mesh upper with a built-in mudguard protect the feet over rugged trails and a moulded EVA midsole cushions the foot when the ground is harder. Super trail running power for wide feet. 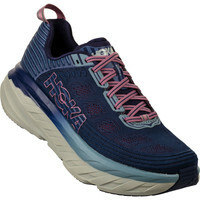 Designed for on and off-road running, the Hoka Challenger's trademark thick midsole provides you plenty of lovely cushioning and a 4mm lugged outsole gives you grip on soft wet stuff without being too aggressive for use on flat, road-type surfaces. The simple answer is: Because we don't stock them. This was a post about the wide-fitting shoes we stock at Run and Become. We did stock Vivo Barefoot shoes when they first came out but didn't have much luck with them because our customers found the uppers weren't breathable enough for running and had a tendency to rub the feet. The range has changed since then and they're seem to be better in that respect now. I have a pair of the trail shoes myself which they gave me to try and I find them pretty comfortable, I have a very wide foot. We're thinking about taking them again next year.Hope this answers your question. I don't believe any of those companies distribute in the UK so we can't get hold of them. The Brooks Pure Drift is wide and doesn't taper at the end. It's the shoe I run in myself. Altra running shoes are now being distributed in the UK. We've just received the Lone Peak trail shoe. We'll be receiving the Instinct and Intuition road shoes in April. I'm running in a pair of the Intuition at the moment which I'm really enjoying - lovely wide toe box. Hi! I'm developing a horribly painful bunionette / Tailyor's bunion and I need to buy a new pair of trainers. I'm not a runner but I love going for long walk which at the moment it's an excruciating painful ordeal. Any recs? Of the trainers you've already recommended, which one would you say it's best for walking? Without knowing what your footstrike's like it's hard to say. If you could make it into one of our branches we could give you natural gait analysis and recommend something for you. Failing that I would guess one of the neutral shoes might be appropriate. They'll give you a lot of cushioning and enough width for your Tailor's bunions. No, there's nothing available in the UK in an E or a 2E width fitting in women's running shoes that I'm aware of. What size are you? If you're bigger than a 6uk you could try the Brooks GTS in the men's. It's a support shoe. The widest women's shoe we can get is the New Balance 940, it's a D width but wider than most other Ds. New Balance don't carry much stock of this one though so we don't always have a full size run. I am similar size e, have just had bunions removed. Went to athletes foot and it felt ok when tried on...saucony echelon 5 wide/large and wore them then for a half a day... this shoe became tight across the foot and agony. That's a shame. The Saucony Echelon is wide but obviously not wide enough for you. It might be better to try a specifically wide fitting shoe like the New Balance W1080. None of New Balance's trail range are available in 2E or 4E in the UK, unfortunately. If they were we'd definitely stock them. Hi, I just had a bunion removed on one foot and the other foot isn't far behind, so needless to say, I need wide fitting shoes. I enjoy walking and want to become a runner, but I often get shin splints and can't bare it. I have an in roll when walking, and seem to have a hard hit as I'm stepping. Is there a shoe that can give me relief for shin splints and are wide enough for comfort? I have spent tons of money on shoes that don't help at all. Are you able to make it into one of our stores so we can look at your foot strike and offer you a few pairs to try? If your feet are rolling in, you'll need one of the anti-pronation shoes shown above or possibly even a motion control shoe. Quite often it's this movement that leads to shin splints so if you have a shoe with enough support to keep the arch upright that should certainly help. They're all designed for long distance running so there'll be enough cushioning even for a heavy heel strike. I am doing the Moonwalk this year in London. I have just bought a pair of running shoes but am finding them quite uncomfortable around the mid foot as I am quite wide here and my feet are being forced inwards by the narrowing of the sole, and feel quite achey. 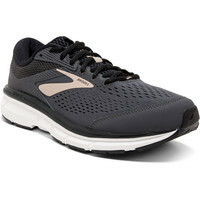 I have bought a pair of Brooks men's shoes (as widerD) 1101591D544 size 8. I am rather despairing of ever finding some comfy shoes in time - the podiatrist said I needed anti-pronation shoes. Your website looks as if you come across this a lot but do you think you may have something wider in the mid foot (on the sides ) that may suits me? As it means coming to London I just wanted to make sure you might have some possibilities better than the Brooks shoe. Yes, we do come across this a lot and I'm sure we could find something to suit you. You had the standard width in the men's GTS. The 2E would be wider but Brooks have a production issue with this shoe at the moment and it's not available in 2E. Otherwise there are other anti-pronation shoes you could try which come up wider than that one in the midfoot. It's worth trying a few different makes, for example Saucony, Mizuno and New Balance. It could be that the Asics you had previously, although not giving your forefoot enough room to be comfortable in, were more supportive and you're missing the support under the arch in the 1080. It's possible the problem could be solved with a pair of insoles but the best thing will be to come in with your shoes and we can check out exactly what's going on and see what the best solution is. The perfect balance between happy bunion area and happy arches will be there. We just need to find it! Thanks for your comment. Sorry to say, you are kind of searching for the impossible, at least from what's available in the UK. Brooks do the ASR which is the off road version of the Adrenaline but only in the standard D width fitting. The Mizuno Kazan is fairly broad but if you're usually in a 2E or 4E, I don't think it's going to be wide enough. I think your best bet, as you say, would be a wide-fitting trail shoe with an orthotic. Between the Trailroc 245 and the Lone Peak, the Lone Peak might be a better bet as it's got a bit more cushioning for the long distances. Also it's a bit sturdier than the Trailroc so it might hold the orthotic better. Hope this helps, best of luck with your running. It's tricky to advise without having seen you run. Are you able to come into one of our branches for a natural gait analysis? Do your shoes wear on the outside of the forefoot or just the outside of the heel? If they wear on the outside of the forefoot as well then you'd probably be best off with a neutral shoe, something like the Brooks Ghost. It's a road running shoe but the outsole would give you a bit of grip offroad as well. Which model was your Asics trainer? Do you get any pains in the knees, shins or achilles tendons? If you take the insole out of the Asics shoes, is the wear fairly even or is there more of an indentation on the inside of the forefoot? The Ghost is a pretty stable shoe and if you're doing half ironmans I should imagine your legs are pretty strong so I would guess it would be OK for you. If you're at all able to get into one of our stores, we could take a proper look at you running and give you a few different options. Brooks Dyad 8 is meant to be a very good shoe for supination/neutral walking/running. This shoe is sold in the US for women in width D (wide) and 2E (extra wide) yet it is nearly impossible to find that width for ladies in the UK. Are you likely to start stocking 2E width in ladies running shoes? In the light of the fact that the UK population is getting bigger it is inevitable that people's feet will become wider. Your own site advises customers that it is much better to try shoes on instore to ensure a proper fit etc... but if you don't stock the widths required then it means customers have to order online and wait a long time for delivery and if the shoe doesn't fit properly it means sending them back and re-ordering. Shoes come up differently and some styles are broader than others, we find it’s only on rare occasions that we’re unable to fit a customer’s feet from the selection that we carry. 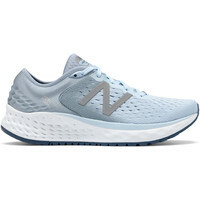 Currently the D fitting of the New Balance 860 is probably the broadest women’s shoe but even then it depends on the shape of the foot as to what will fit the best. The brands are starting to create more options for wider feet in the UK, we are seeing broader options in more styles. This winter we will be able to order the Dyad in a wide fitting for men, and New Balance have increased the number of styles available in 4E. At present they’re bringing in these wider options just in the men’s range to begin with, it is likely this will extend to the women’s too in time, as long as the brands find enough interest in the extra wide fits. Some broader fits - like the 2E Dyad for women are available in the US but not over here at present. 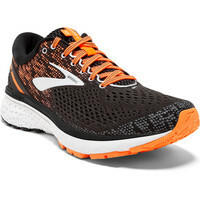 I need to find a shoe that will accommodate my bunions is with a mesh or soft fabric upper and side but also but with minimal overlay / stitching or patterns at the bunion area as I have had tried trainers before and its rub, would the Brooks Ghost be good for me ? It's tricky, most of the shoes have some kind of overlays but I think the Ghost would be a good bet: it's a mesh upper with minimal melted on overlays and they don't go right across the bunion area so hopefully they won't rub. That's tricky. Is it the Brooks GTS he has in the 2E width fitting? That one is available in a 4E width now which is even wider than the 2E. That might be a solution. I can see how lots of bouncing on the balls of the foot might strain the shoes more than ordinary running but if he has a bit more space in the shoe that might help. We don't have the Gore-Tex version in a 4UK yet but we'll have it soon - probably at the beginning of next week. Although these are quite wide compared to other trail running shoes, you might still find them a bit neat because the Gore-Tex upper doesn't give that much. The road shoes in a D width will be wider but mesh uppers will let the wet in to a certain extent and if your common land gets really muddy, they won't give so much grip - they all come in a size 4 though. Hope you find something to suit. I am literally so so pleased.your website exists!! I have terrible pain in my feet and now I can order shoes that might fit!! I'm looking for a wide (4E) minimalist running shoe (something that provides no stability, control, or support and doesn't squeeze my foot). Any suggestions? That's tricky. The minimal shoes we can get in the UK are all just available in a standard width fitting. The widest in our current range is probably the New Balance MR10 with a 4mm drop and no support or control but whether or not it's going to be wide enough to fit a 4E foot, I'm not sure. We've also got some sizes in the Altra shoes which are zero drop and foot-shaped so they'll be wider than most, although we no longer stock them because they haven't sold very well for us. Best of luck finding something that works. 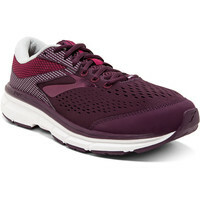 If you need support, I'd suggest the New Balance W860 in D or the Brooks W GTS in D or 2E if you need a really wide one. No Black Friday deals but our sale starts Monday so keep checking in. 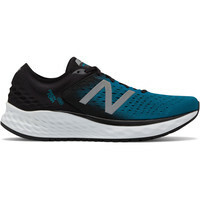 Hi I have tried a few of these shoes but the wide New Balance shoes tend to be wide throughout the shoe and my foot really needs the toe room. My first 3 toes are the same length and I regularly get blisters on the 3rd one. Any ideas what would work well for toe room? As you say most of them tend to be wide all over rather than just in the toe box. Have you tried any of the Brooks shoes/ They're a different shape so they might work better. Hi, do you do a trail shoe for a wide foot with a bunion please? I've got a pair of Brooks Cascadia which need replacing as they've left my bunion very blistered! That's tricky because they don't make any trail shoes in wide fittings that we know of. Yes, you can return them if unworn within 28 days for an exchange or refund. It might be worth trying one of the anti-pronation options if you've got bunions because quite often bunioned feet collapse inwards and need a bit of support. It's also worth bearing in mind that running shoes come up slightly smaller than ordinary shoes so you might need a half size bigger than you'd expect. I'm looking for the perfect supportive trainer with a lot of cushion to support my wide and flat feet. Which also roll inwards, which causes me pain around my ankle and Hercules heel are. And underneath the arch of my foot too. Is there a trainer out there that can support all of my needs? Sounds like you'd be best looking at one of the anti-pronation options. Best to come in to one of our shops and try on a few different pairs if you can. 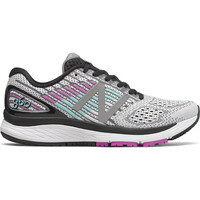 Maybe the New Balance Women's 860 in the D width, or the Brooks Women's GTS in the D or 2E width depending on how wide your feet are. All those options have plenty of cushioning and support to stop your feet rolling inwards. What about wide fit trail running shoes? Yes, indeed, what about wide fit trail running shoes! From the brands we stock, there's nothing we can get hold of currently trail shoe wise that comes in a specific wide fitting. I used to have some of the wider fitting standard width options listed in this post but I took them down because I didn't want to mislead people into thinking they were actually a specific wide fit. All the running shoes have removable insoles, and are incredibly comfy for walking too. If you are after a neutral shoe, then the New Balance 1080 'D' width would be a good option. If you can make it into a store, then we can help you to find the perfect fit. I have found comfortable shoes but not trainers (strangely it useed to be vice versa). I have some New Balance shoes but having worn them for 6+ months, they're not the most comfortable. I used to have Mizuno Wave Rider 17s, which were comfortable. I need a wide trainer which has a spacious and deep toe box (as much as can be for a trainer). I tend to usually go for 2e trainers, which are wide enough. I also need a soft trainer as I'm prone to hard skin, corns, etc. I wear 10 1/2 Shoe. I own New Balance shoe in 24. It's too wide but the D is too narrow. Any suggestions in other brands that might have a wider Size D or a E width shoe.? Yes, the New Balance 2E is particularly wide. You'll probably find a Brooks or Asics 2E narrower. Do you need a support or a neutral shoe? In general, I'd say Mizuno shoes in standard width come up quite broad, in case you wanted an alternative in a standard width shoe. Please would you recommend some wide trail shoes. Hi, that's a tricky one. There aren't any wide fitting trail shoes that we know of, available in the UK at least. From our current range I'd say these two are the widest: Inov-8 Roclite 295 and Saucony Xodus. I'm looking for a simular trainer to brooks ghost 4. I know they are an old model. I've got the ghost 7 but they are not the same. They feel so much heavier and not as wide. The Ghost 8 is wider than the version 7 was but not as wide as some of the previous Ghosts have been. You could try the women's New Balance 1080 if it's a neutral shoe you're after. It's wider than the Ghost as well as being light and cushioned. There aren't any specifically wide fitting racing flats available in the UK that I know of. The Mizuno Hitogami is the widest we've got at the moment. It's nice and round in the toe box and often accomodates a wider foot. Quite often people who suffer from bunions have flatter feet that benefit from some support under the arch, in an effort to lessen the pressure going through the big toe joint. 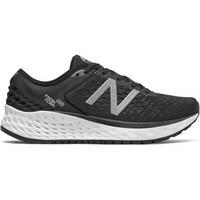 Without seeing your feet it's very hard to judge which shoes will best support you but I'd imagine the New Balance M860 4E would be in with a chance as it is wide, soft on the uppers, has no support banding going over the bunion area, and offers arch support. If you're able to visit one of our stores we will be able to fit you out properly and ensure the shoes support you perfectly. That's quite tough, there aren't any specifically wide fitting trail running shoes that we know of – at least from the brands that we stock and that are available in the UK. So you'd need to pick from the widest of the standard width shoes. I'd maybe try the Inov 8 Roclite 295. 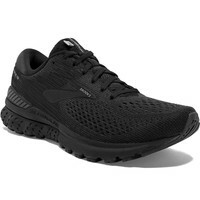 It's similar in profile to the Reebok Spartan shoe – low and grippy – but might come up a bit wider. 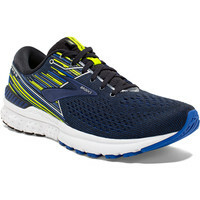 I have wide feet and currently run in Brooks Ghost 7 trainers which are excellent but have worn through around the bunion area on my left foot. I tend to heel lead (superinate I believe) when running and walking. Unfortunately not local to a shop as the gait analysis would be excellent. Open to suggestions. Thanks for your comment. Heel leading is quite normal, it's what happens afterwards – does the arch collapse inwards (pronation) or does it stay upright (neutral footstrike) that's important. If you've been happy with the Brooks Ghost 7, apart from wearing through the bunion area, then a neutral shoe probably suits you. You could consider the New Balance women's 1080 which comes up a bit wider, maybe? Or have a look at the current Ghost – Ghost 8 – which has a different kind of upper from the Ghost 7 and might be a bit more resistant to wearing through. If, at any point you can make it into one of our stores, we could take a look at you running and give you some other suggestions. great list - I'm the proud owner of 2E high arched and different sized feet (266 left and 272 right). I'm after a trail show and a cushioned shoe for the road. Care to recommend something? FWIW I currently run both in Hoka Bondi's but they're pretty expensive - and the left shoe is too small. Thanks for your comment. With the inserts, I'm guessing you need a neutral shoe for the road? In which case I'd try New Balance 1080 or Brooks Ghost. The trail is more difficult because there's nothing in a 2E width that we can get our hands on. Of the standard widths that we have currently, I reckon these two are the widest: Mizuno Mujin, which has good grip and a bit of medial support, or Inov8 Roclite 295, which is lower in profile. Do you intend to keep using the insoles? 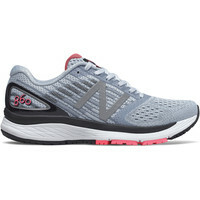 In which case I'd suggest one of the wide fitting neutral shoes: Brooks Ghost 9 D or New Balance W1080 V6 D.
They're both wide but the New Balance shoe tends to be a bit deeper which I think is helpful to keep the pressure off Morton's Neuroma. If you want to stop using the insole – and that might be a good idea as insoles take up extra space in the shoe and with a neuroma you want to give the foot as much room as possible – and your feet pronate I'd suggest one of the support shoes: New Balance 1080 V6 D, Brooks GTS 16 D or Brooks GTS 16 2E. Again, the New Balance is deepest but the GTS in the 2E width is the widest laterally. Hi there, great to read all the advice on this page. I've worn Mizuno wave connect for about a year but found they were causing me to have a painful toe joint as they are quite narrow. I'd like to switch back to a mizuno but not sure if there is a shoe that will be wider than the Wave Connect that wont then upset my toe! (I'm a slight over pronator) could you offer any suggestions? You could try the Mizuno Wave Inspire. It's a bit more supportive than the Connect but to be honest, I'm not sure it will come up much wider. I have pretty wide feet and I wear them but I get them in a half size bigger than I would take with a wider fitting shoe. Have you ever tried Brooks? The Ravenna D width is wide and supportive, not as much as the W860 but if you're a slight pronator it would probably be enough. Hello - I wonder if you could offer advice on wide fit (at least wide toe box) shoes for technical terrain. I am pretty well adapted to the minimal style. My main road shoes are NB minimus MR10 and on the local muddy trails here in Somerset, I have used NB MT10 both v2 and v3 and have been very happy with them. However, in my view the NB MT10 does not have enough protection or grip for very technical terrain, eg fell running in the Lake District. Most fell shoes seem to be too narrow for my feet. I have got myself a pair of Inov8 Roclite 295 - which are just about ok, wider than all the other inov8 it seems, but still the toe box is not really wide enough for me - particularly running down hill, I get a contact between big toe and toe box which is really not good. That's tricky. Most fell shoes come up pretty narrow so they don't pull off your feet when you're going through muddy bits but that doesn't help the wider footed amongst us. The widest we have is this new Inov8 fellrunning shoe the X Claw 275, which is built on their wider Standard Fit last (same as the Roclite). It has their ultra grippy Mudclaw outsole so it would give you great traction on the muddy paths of Somerset. Alternatively, the new New Balance MT10 v4 has a differently configured outsole from the two you've had before. It's not as grippy as the X Claw but it might be worth a look. I get gout occasionally and my foot swells -- I need a wide shoe 4e or better -- Not so pinched at end where swelling happens. and need good cushion under Desophagus and Occipital Neck . 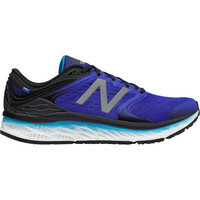 The New Balance shoes tend to be a bit deeper and rounder in the toe box so they may be a better bet for a swollen foot. They're long distance running shoes so the cushioning is good in all of them. If your feet are burning, it could be they're moving inside the shoe and causing friction. In which case you might need a wider width but a smaller size. Generally we recommend a thumb's width of space at the end of a running shoe. If you've got more than that, maybe there's too much movement inside the shoe. If you're able to come into one of our stores we could take a look at your foot strike and recommend something for you. Strange that so many men's trainers come in wide fittings but that women's do not! Typical! Yes, there are more men's than women's. I think it's because wider footed women will often wear men's shoes anyway so the manufacturers don't feel they need to give us as much choice. I am looking for shoes that are zero drop in 4E size. any thoughts you have are appreciated. I am a neutral runner with textbook perfect stride. I am larger than most runners playing multi-sports at 220 lbs. Also need wide toe box with thinner heel. Currently there are no zero drop running shoes available from any of the brands we stock. There used to be but they've all been discontinued now. The lowest we have is 4mm and from the neutral 4mm drop shoes we stock the widest fitting would probably be either the Saucony Kinvara or the Nike Free RN Distance. 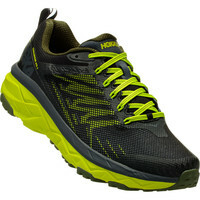 I am after a wide fit gore tex running shoe that's a 2E or 4E which I can use for running and working in? I do sport television camerawork and I stand for long hours? I do have my own orthotics that need to fit inside the shoe too? Your advice will be much appreciated ? From the makes we stock there are no 2E or 4E Goretex shoes available. We do have a few different 2E and 4E options in road running shoes. They have plenty of cushioning for running/working and will be roomy enough that you can take out the insoles and put your orthoses in instead. You could try the Brooks Ghost 2E, or the Brooks Dyad 4E, or the New Balance M1080 which is available in 2E and 4E. The only disadvantage is that the mesh uppers will let in the rain but on the flip side, they'll be nice and breathable for running and wearing when it's hot. As far as I know there are no women's running shoes available in a 4E width fitting. 2E is the widest we've been able to get. The men's 4Es start at a UK 6 or 7 so hopefully you could fit into one of them. The Brooks GTS comes in a 2E. Limited sizes available now because there's a new model coming out in November. Of the D width fitting shoes for women, some are wider than others. For instance the New Balance D widths come up a bit wider and deeper than the Brooks Ds. Hello, I am a female training for my first full marathon next month. I have a wide foot, high instep with claw like toes. I need a wide, high toe box endurance road running shoe. Do you need a neutral shoe or a support shoe? In my experience the highest toe boxes are in the New Balance shoes, the W1080 is the neutral shoe and the W860 is the support one. What shoe have you been using up till now and how have you got on with it? 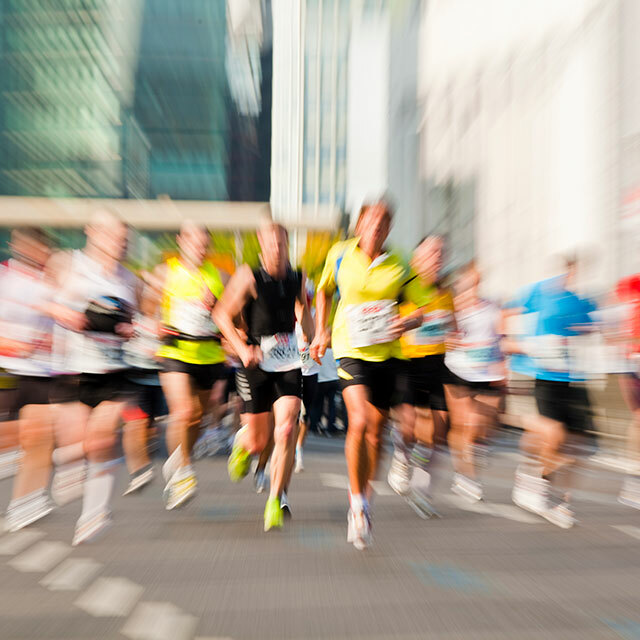 If the marathon is in a month, it would be a good idea to stick with something as close to what you've been training in as possible if it's worked for you. 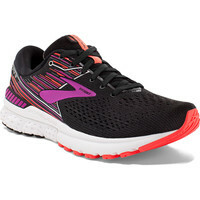 Hi,was wandering whether you are going to bring out some new styles on your women's wide fitting neutral road running range as I have got the brooks goats 9D already. Hello, I found this thread because I have a proportionally wide forefoot to a very narrow heel. And also my arch is pretty high in comparison to how flat my forefoot is. I'm quite new to running and keen to progress but find my current trainers some kind of asics are not wide enough for me but also I get blisters because my heel rubs. Are any of the wider ladies shoes known for having a narrow heel? I can't wear pump type day to day shoes as they are bmbevwr wide enough and I walk out of them at the back as never right enough on my heel. Thanks for your comment. All the women's running shoes featured here should be wide in the forefoot but narrow in the heel. However, if your Asics trainers slip at the heel and cause you blisters, it sounds as if you have a particularly narrow heel. In that case, I find the best thing to do is to lace them in a particular way which grips better around the heel and reduces movement. I often have to do this with my own shoes. Here's a video which demonstrates this. It's tricky when it comes to trail shoes. None of the trail shoes we stock come in specific wide fittings so it's a question of trying the widest of the standard width fittings. I'd suggest the Mizuno Mujin or the Saucony Peregrine. What would you recommend as having a similar fit and cushion like the Nimbus 16 in more recent models? Have you tried the most recent Nimbus? It's got great cushioning and a nice adaptively fitting upper. It's just available on standard width at the moment though so if you need a wider fitting shoe, I'd maybe try the Ghost 2E. Hello - I am a long distance hiker and I like walking in lightweight shoes rather than heavy boots or shoes. Last year I walked the 1006 km along the Via de la Plata in spain wearing Altra Lone Peak shoes. I have a 2E wide foot and I tend to buy a mans's shoe for the extra width. I loved the width of this shoe but after the second day on the trail I started to experience foot pain... I still do when walking barefoot at home... and I do wonder if the zero drop didn't suit me. So I'm back looking for a good lightweight shoe that fits a lady with a 2E wide foot (my normal shoe size is 8 but I go up a size with my walking footwear) ... I need a shoe that will work on all trails and give support for long distance. I live in France and I found it almost impossible to find a shoe to fit here so I know that mail order is the only way for me... I'm happy to order a few pairs to try and home and return if not the right fit... but I would dearly welcome some ideas and assistance. As long as your gait is reasonably neutral and you don't need support for your arch, you could try either the New Balance 1080 or the Brooks Ghost. They both come in a men's 2E width. They'll both be lighter than walking boots and nice and cushioned and flexible. They are both designed for the road primarily although they'll give you a certain amount of grip off road. If you need a bit more grip, you could try the Saucony Xodus which is a trail shoe so it would give you more traction in muddy conditions. Although it's not a specifically wide fitting shoe, it does come up wider than most. It's a 4mm drop which is quite low but not as extreme as your Altras so you may fare better with it. An alternative trail shoe would be the Mizuno Mujin, which again comes up fairly wide and has a good, grippy outsole. None of the companies that we stock make a 4E width shoe with a 4mm drop, I'm afraid. The widest of the 4mm drops that we have would be the Nike Free RN Distance or the Saucony Kinvara, but they won't be as wide as a 4E width. Otherwise there's the Brooks Dyad in a 4E, but that's a 10mm drop so you might end up with the same problem you had with the 1080. I fully sympathise! But because we're a specialist running shop, we can only get hold of running shoes from the companies we deal with. We generally don't have access to any walking brands. The anti-pronation running shoes we stock do tend to have stronger soles and they're designed to support the feet and hold them straight. Many people with wide feet use them for walking rather than just running. So it might be worth taking a look at one of the 4Es under the anti-pronation heading. I am looking for wide fitting waterproof running shoe. That's because there isn't one - at least there isn't a wide fitting waterproof running shoe in a 4E that's available in the UK. 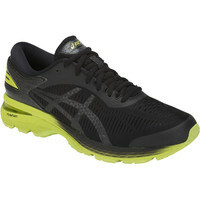 We stock the Asics Fuji Trabuco GTX, which is waterproof, but it's only available in a standard width. Some people get around the problem by purchasing a waterproof sock, which you could try, but in my experience they're not very stretchy and don't fit wide feet that well. I'm looking for something wide, 8-12mm drop, but with a firm sole. I have Hallux Limitus, so need something with limited flexibility. Would the 1080 fit the bill? None of the running shoes are very stiff - they need to have an element of flexibility so you can run comfortably in them. But the 1080 has a reasonably firm sole so it might work for you. Alternatively the Dyad is quite firm underfoot - we have it in the 4E width which is the widest fitting. Best of luck finding something that suits you. In my experience, the New Balance shoes have the highest toe box. It's best to watch you run, if you can make it into one of our stores but sometimes a bow-legged runner is better off with a neutral shoe, even if there is a bit of pronation. I'd maybe try the men's 1080 which is reasonably stable for a neutral shoe. It depends on the shoe size. Which size do you want to know about? The best thing would be if he could come into one of our shops and let us look at his foot strike and give him a few different options to try. We currently stock 2 women's models in a 2E width (extra wide): Brooks Dyad 2E (neutral) and Brooks GTS 17 (2E) (supportive). These are the widest options that we can currently source in UK in women's shoes. Thank you for a really useful feed. I'm a wide footed woman with reasonably small feet - 5.5 in real life, eur40 in running shoes. I've been using Brooks D fit Ravenna for road & Mizuno Mujin for trail, but a significant step up in distance has me nearly crippled with blisters at my little toe & what I guess you could call bunion point. Do you have any alternative trail shoe suggestions? None of the companies we stock offer us a specific wide fitting trail running shoe (although in January we'll be getting the Salomon Speedcross in a wide fitting which we're really looking forward to) so you'd be looking at the standard width options that come up the widest. Currently I'd say the Inov8 Trailtalon 250 is fairly broad. 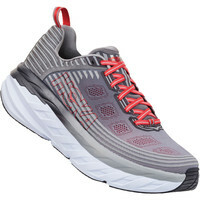 It's a low profile 4mm drop trail shoe so it would be closer to the ground than your Mujins and it has less cushioning (but depending on the terrain, you might not need the cushioning element if you're running off road) and the grip is good. The other option that fits generously is the Saucony Peregrine. 4mm again but with more cushioning and good traction. Low arches often lead to overpronation but if you have a lot of wear on the outside edges, it might be the opposite. Are you able to come into one of our branches so we can do a natural gait analysis and offer you a few different shoes to try? Hello, What shoes would you recommend for a male, 5’10” 250 lbs runner that has wide feet, neutral gait with a mid sole strike? I run 10-15 miles a week for weight lose. I just purchased NB 880V7 but I'm afraid they may not hold up because of my weight. You could try the NB 1080, perhaps? It's got more cushioning than the 880 so it might be more suitable to you. It's built on an 8mm drop and it's nice and flexible so it might work well for you if you're a midfoot striker. Saucony Peregrine – Great grip, nice cushioning, wider than most in the toe box. Inov8 TrailTalon 250 – This one is more minimal and closer to the ground, built on Inov8's Standard Last so it's roomy in the toe box again. 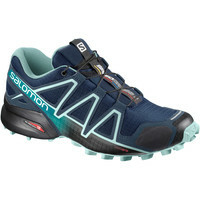 From January we'll have the Salomon Speedcross in a wide fit which I hope will be a good solution for us wide footed people who want to run trails. We can't get GTS 17 4E any more but GTS 18 4E is due in to us any day now. It was supposed to come in November but it's been delayed. Brooks told me to expect it early next week. I'll post it on this page as soon as it's in store. What are the narrowest and most snug-fitting running shoes you know of? I am in the market for new running shoes and have narrow and low-volume feet. In the past I have worn Asics and Brooks with narrow sizes. I am wondering if there is anything else out there (like racing shoes) that would fit snugger on my feet. In Saucony you could try Type A or Fastwitch. I currently run in New Balance 860 in a 2E fitting and find they are a prefect fit for me and provide a good level of support. My usual routes are a mix of road, grass and dirt paths. I would love to get a pair of trail running shoes for the winter months as I'm sliding all over the place in my road shoes on muddy paths! I emailed New Balance but they said they didn't have a trail shoe for stability & extra width. As I have quite wide feet and need a bit of stability (although I don't think I need very much) I've been struggling to find a suitable shoe. A friend who is a very high weekly mileage and experienced runner recommended the Speedcross as a good all round trail shoe. Do you think the Speedcross 4 wide is likely to suit me? Speedcross Wide will give you good grip for the muddy months, that's for sure. 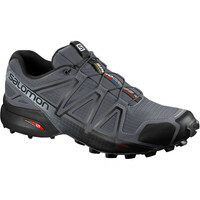 Salomon tell me it's equivalent to a 2E width in other makes although trail shoes are often slightly tighter fitting than road shoes so they don't get sucked off your feet by the mud. It won't give you as much support as 860 but if the ground is soft, then there'll be less impact so you're less likely to have a problem. I definitely think it's worth giving them a try but maybe stick to your road shoes for drier days when the ground will be firmer. In the UK, the women's Nimbus doesn't come in a wide fit. If you wanted to try a similar shoe in a wide fitting, I'd suggest either Brooks Ghost D or New Balance 1080 D.
You could try Dyad 4E or NB 1080 4E. They're both good, solid, cushioned running shoes. If your arches collapse in then I'd try one of these two: Brooks GTS 4E or NB 860 4E – also solid and cushioned but with some support on the inside to prevent the arches rolling in. The best thing would be if you could come into one of our shops and try on a few different ones. The Speedcross wide are definitely wider than most trail shoes, but I'd advise that none of the off road shoes are as wide as the Brooks woman's 2E width. Possibly if you are above a size 7UK, you could try the men's version of the Speedcross wide, as the men's shoes always come up a little wider. Please feel free to visit one of our stores where our staff will be more than happy assist you. That must be very annoying! Have you tried elastic laces? Blimey Bhashini....a site with wide sports shoes that I've actually heard of!! I have weird shaped feet from years of rugby, footie, running and walking! Unfortunately finding shoes and trainers has been a nightmare all my life due to wide feet and very short toes!! So width wise I have to go to a 9 and length wise I'm an 8/8.5!! So consequently my foot will fit the width but slide fore and aft and heel slipping out causing lots of problems! Recently been told to have some arch support shoes etc. I still love a jog and run on sorter surfaces ie canal paths, forests and beaches. More a easy triathlon runner than hard surface road runner. If you could advise me which running shoe would provide me with the best all around option. They all seem good options to me. It sounds like a wide fitting support shoe would be the right sort of thing. I'd maybe look at Brooks GTS 2E or New Balance 860 2E (4Es are available too if your foot's really wide). They're primarily road shoes but they'd be fine on the softer surfaces you mentioned as well – although you'd perhaps slip a bit in the forest if it was really mushy underfoot. If you're able to get into any of our branches, you could try on a few different styles and run a bit outside in them to see what you like best. Best of luck with finding something that works for you. 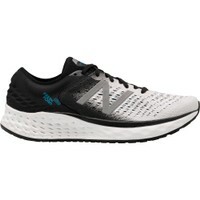 Hi I am looking for 6E running shoes, The only shoe that I have found is a New Balance 624, unfortunately my foot is the widest at the toe and so the 624 is not really suitable as they then break open at the point that the shoe starts to taper. The Altra Olmpus 2.5 seems to have a wide toe design but I cannot find a 6 E shoe in that make. Unfortunately I'm based in Australia and cannot find a stockist so that I can try on the shoe. Do you have any suggestions. I have read your reviews but none of those shoes are wide enough. Its a family trait, my father has had the outer two toes on both feet ampuated to overcome this problem. There must a a shoe that is suitable. Sorry to hear about the problems you've had. Your poor father! Amputation seems like a very extreme measure. Here in the UK, there's no running shoe available in a 6E from any of the manufacturers that we deal with. The only 6E I've found in internet searches is the MX624 cross trainer that you mentioned. The widest we can get is 4E and of the 4Es we stock New Balance 1080 and 860 would be the widest. They taper in the same way the MX624 does but the engineered mesh uppers will give a bit more than the leather of the MX624. You're right -Altra shoes do have a wide toe design. They're shaped to fit our natural foot shape so they get wider at the front rather than narrower to give you room for your toes. Personally, my wide feet find them very comfortable but I'd say they're foot shaped rather than wide all round so if your arch and midfoot are wide then they'll probably be too snug across the middle. They just come in a standard width fitting - no 4Es or 6Es. Altra Torin has a spacious toe box and Escalante has a stretchy mesh upper which will adapt to the foot shape to a certain extent. For wider feet, Altra suggest removing the insole to create a bit more space inside the shoe. I hope this is helpful information, Arthur. Just curious question about the Speedcross wide. I just bought these cause the standard XA pro hurt my feet as I have hallux valgus. I have fairly wide feet not extremely wide, very rectangular altra-ish. The speedcross wide shoes seem to work for me but I get the impression the actual sole is not wider or at least not much. It seems more like they have overdimensioned the upper textile instead. They don't hurt but aren't perfect because they arent that stable laterally. You can slip around a little inside the shoes cause there are no "walls" on the sides. Can you say how much wider the bottom soles are on the speedcross? Thanks for your comment. I've forwarded to our Salomon rep as I don't know for certain. I'll let you know what he says as soon as I hear back. I'm out of the store at the moment so I've asked a colleague to hold a standard width up against a wide width and measure the difference. With most width fittings, the sole is a few millimetres wider than the standard width - around about 5mm depending on the size. Yes, I'm looking forward to stocking the wide fitting Cascadia. It's not available in the UK yet but once it is we'll be sure to have it. 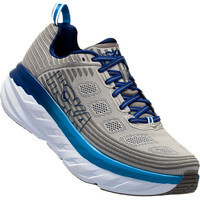 Next year we'll have a wide version of the Hoka Challenger as well. A size 8UK wide fit is apparently 2.5mm wider than the standard width. The difference will be a bit greater in the bigger sizes. Nike Zoom D or Nike Zoom Rival D 10. 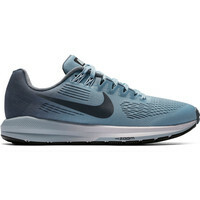 The Nike Zoom D is a slightly more anatomical shape ie a bit wider in the forefoot and the engineered mesh is a bit more open so you may find it stretches a bit better. 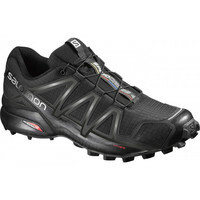 Love my salomon speedcross 3, but had to buy 2 sizes larger because of broad foot. Having trouble with my middle and 4th toes on longer distances, and cramping sometimes. Pleased to read about the new wide foot shoe, am I am wondering how wide they are..we is iit a D width for ladies shoe. Additionally would you recommend buying 1 size larger or 1/2 size? Whilst the wide version of Speedcross is certainly wider than the regular fit, it's not super generous. In fact Inov-8's brand new Parkclaw, which they've constructed on a generous last, seems to be coming up wider. Speedcross wide is like an Asics D width, not a New Balance or Brooks D which are more generous. So, if you've been going up 2 sizes (poor you) then I'd try 1 size larger and see how that feels. That's a difficult situation. There aren't any women's 4Es available in the UK. 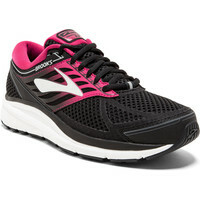 The widest shoe we've got in a size 4 is the Brooks GTS 2E. You could always try getting a slightly larger size to get a bit more width or taking out the insole – this gives you some more space inside the shoe but you don't have quite as soft a feeling underfoot. I wish a replacement for New balance 1123 size 8 4 E women's. I returned the same size 1540 as the quality was dreadful, the toe box narrower, and much less arch support and cushioning. The New Balance quality has deteriorated. Can you suggest a 4E women's shoe. Thanks for your enquiry. Here in the UK there are no specifically women's 4E running shoes available – only men's. If you want to move away from New Balance and try something different with good cushioning and arch support, I'd suggest Brooks GTS 4E. If you're a women's 8US that translates to a 6UK but if you're a men's 8US that's a 7.5UK in New Balance but 7UK in Brooks – confusing, I know! If you wanted to look at another New Balance 4E then maybe the 860. It's a long distance running shoe so the cushioning and stability are good and the engineered mesh upper has a bit more stretch to it than the uppers on the 1123 and the 1540. In the past all support shoes for over-pronation tended to have a board last, or combination last, and shoes that were for the neutral foot strike had the slip last. 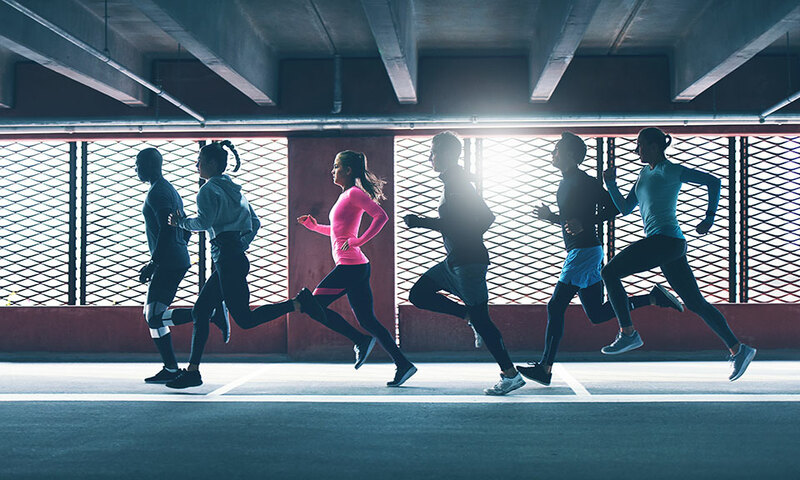 As running shoe design has evolved the board has been replaced by other materials and support provided through things like guide rails, enabling shoes to be more flexible and comfortable. The neutral shoes don't have the traditional slip last per-say, there's no central line of stitching under the innersole but materials immediately under the foot are as softer and as flexible, if not more so. I'm guessing you have a neutral foot strike and are looking for a really responsive, smooth ride from your running shoes, many of the neutral shoes will offer exactly this experience. There are some that have more guidance aspects, even though still neutral, and you may find these too restrictive in feel but that would be the exception not the rule. Hope this helps to clarify things a bit. This is a really helpful article thank you! I am looking for a running shoe with a wide toe box (bunions!) but am looking for a more minimal style one as I find having any kind of heel causes bunion pain. There is less choice regarding wide fitting minimal road shoes. 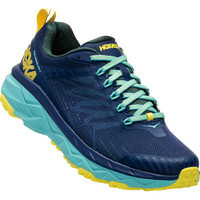 One option would be to go for the Hoka Bondi 6. They have a 4mm heel drop with lots of cushioning. If you prefer to have a 'closer the ground' feel there is an option to go for an Altra shoe. The Altra shoes are shaped to the foot shape. They don't make them in the a wide width but their toe box is rounded and in most cases they fit wider feet. Neutral options are the Escalante or Torin. For overpronation, try the Paradigm.